The study followed 32,561 women who completed food frequency questionnaires. The researchers calculated and estimated the total antioxidant capacity of common foods. The women were then divided into five groups based on total antioxidant capacity of their diets. During the study period, 1,114 women suffered myocardial infarctions. Women in the highest antioxidant capacity group consumed seven servings of fruits and vegetables daily and had a 20 percent lower risk of myocardial infarction. Stop smoking: Not only does smoking increase your risk of a heart attack, but it can hinder your recovery, too. Although smoking cessation may be difficult, it’s important that you quit, no matter how many years you’ve been smoking for. Watch what you’re eating: A healthy diet can go a long way in promoting heart health. 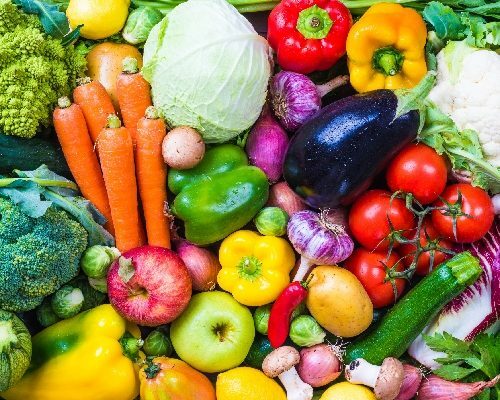 Eating fruits and vegetables, whole grains, lean proteins, limiting saturated and trans fats, and eliminating processed foods can provide your body with essential nutrients it needs in order to keep your heart healthy. Not only that, but a healthy diet can also help control many risk factors that contribute to a heart attack, helping to maintain a healthy weight, reduce LDL cholesterol, and even manage your diabetes or blood pressure. Manage cholesterol: Reducing your LDL cholesterol is an important step in heart attack prevention, because this type of cholesterol is what forms plaques along the arteries, causing them to become stiff and narrow. When this occurs, blood flow gets reduced, contributing to a heart attack. Ensuring your cholesterol is in check can help keep your heart healthy and save it from damage. Lower high blood pressure: Blood pressure is the amount of pressure exerted against the artery walls. High blood pressure signals that your heart is working too much. An overworked heart becomes weak over time, which is conducive of damage. This damage can lead to a heart attack. Many lifestyle changes that work to prevent a heart attack can also work to control healthy blood pressure levels. Reduce salt from your diet, exercise regularly, and, of course, don’t smoke. Exercise regularly: Regular exercise keeps your heart strong, helps you maintain a healthy weight, reduces blood pressure, and lowers cholesterol. It only takes a few sessions a week doing anything active really, from brisk walking to more vigorous activities. The key is to maintain consistency. Numerous studies have shown the detrimental effects of living a sedentary lifestyle, including early death. Therefore, it is highly important that you move as much as possible. Maintain a healthy weight: Being overweight or obese had been tied to various health problems, from diabetes to heart issues. Following these lifestyle tips can help maintain a healthy weight, too. Manage diabetes: Diabetes is a known risk factor for cardiovascular disease and heart attack. Type 2 diabetes is a result of unhealthy lifestyle choices. Unmanaged blood sugar can lead to complications, from nerve damage to even vision problems. Following these healthy lifestyle tips can help you better manage your diabetes all the while preventing a heart attack. Reduce stress: Numerous studies have shown a link between heart disease and stress. When we are stressed, cortisol is released. In the short term, this is a natural “fight or flight” response to help the body get out of dangerous situations. In the long term, excessive levels of this hormone can have detrimental effects on the heart and bodily functions. Finding healthy ways to minimize and reduce stress can help promote a healthy heart. Limit alcohol: Although some studies have shown the benefits of moderate alcohol consumption, many more point to the fact that it is harmful to the heart. Drinking too much alcohol has been linked to higher blood pressure, heart attack, cancer, and stroke, among other diseases. If you do drink, limit your daily consumption to two glasses for men and one glass for women, but for some people, even drinking the allowed dosage every day can be too much. Also, if you are going to choose an alcoholic beverage, stick with red wine, as it has been shown to offer some benefits.